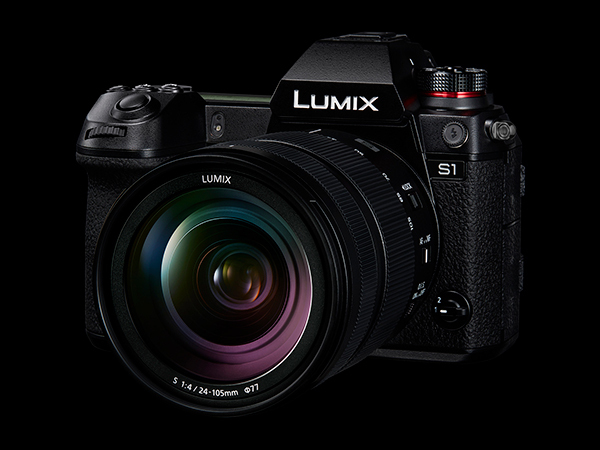 Panasonic has issued full details of its up-coming Lumix S1R and S1 ‘full frame’ mirrorless cameras, which are due to go on sale in April. Scheduled for release locally in April 2019, the Lumix S1R camera features a 36 x 24 mm CMOS sensor with an effective resolution of 47.3-megapixels. This is currently the highest resolution in its class. This camera supports low-light shooting at up to ISO 25600, with extension to ISO 51200 available. The S Series also introduces High Resolution and HLG (Hybrid Log-Gamma) Photo modes. In the High Resolution mode, the camera uses sensor shift technology to capture and combine eight consecutive images to produce a single file (or RAW+JPEG pair). In the S1R this will result in 16,736 x 11,168-pixel images (187-megapixel equivalent), which is more than enough for studio photographers who want to produce billboard-sized prints without losing detail. In the S1R, the new HLG Photo function can record a wider dynamic range that ensures more natural contrast while preserving the brightest highlights and deepest shadows. In the S1R, the resulting files have a resolution of 7680 x 4320 pixels in the 16:9 aspect ratio, which enables users to play them back on latest Panasonic HLG-compliant 4KTV via HDMI cable connection or on other HLG-compliant devices. Targeted at a wider range of potential users, the Lumix S1 also has a 36 x 24 mm CMOS sensor but its resolution is lower at 24.2-megapixels. This gives it some advantages over the S1R. As well as offering a wider ISO range, with a native upper limit of ISO 51200, which is extendable to ISO 204,800, the S1 offers a full sensor readout, capturing 4K 30p/25p/24p with no recording time limit. An optional software upgrade key, available later in 2019, will add support for 4:2:2 10-bit 4K 30p/25p internal video recording and 4K 60p/50p via HDMI output as well as the V-Log picture profile featured on Panasonic’s Varicam products. This makes the S1 more versatile for shooting video than the S1R. High Resolution mode images captured by the S1 have a resolution of 12,000 x 8,000 pixels (96-megapixel equivalent), while images recorded in the HLG mode have a resolution of 5888 x 3312 pixels with the 16:9 aspect ratio. – They have weather-sealed magnesium alloy bodies that are splash-resistant, dust-resistant and freeze-resistant down to -10 degrees Celsius. The durable shutter unit will withstand around 400,000 releases. – The control buttons and dials are ergonomically located and the adoption of an 8-directional joystick and refined UI (User Interface) supports quick operation. Illuminated buttons increase visibility in low-light situations. An operation lock lever prevents unintentional operation. – Dual card slots include one supporting UHS-II SD cards and the other supporting XQD (upgradeable to CFexpress in the near future). – The Live View Finder (EVF) is a 5.7 million-dot OLED display with a high-speed response speed of 120 fps, a minimum time lag of less than 0.005 sec and a 10,000:1 high contrast ratio. The 0.78x magnification ratio can be switched to 0.7x or 0.74x, which allows users who wear glasses to adjust the magnification in order to see the full frame. Sensitivity can be boosted for framing shots in the dark, while the Night Mode puts a red cast over the viewfinder and/or the LCD display to prevent it from disturbing other photographers or wildlife, while not affecting the photographer’s vision when shooting night scenes. – The 2.1 million-dot LCD monitor has a triaxial tilt design for further shooting versatility, making it easy to use for high and low angle shooting and portraits. – Dual I.S. (Image Stabilisation) 2 combines 5-axis internal stabilisation with the optical image stabilisation in selected lenses to provide class-leading stabilisation of up to 6 stops. A new Status Scope function displays a pointer that provides a visual representation of the camera’s micro-movements, allowing the user to compensate. – The lens and sensor communicate at up to 480 fps for fast and accurate autofocusing. Contrast AF with DFD technology allows both cameras to focus within 0.08 second and achieve high speed burst shooting at up to 9 fps (AFS with AF/AE locked on the first frame) or 6 fps (AFC). Luminance detection in Low Light AF ranges down to -6EV. – Panasonic’s face/eye detection technology keeps subjects in precise focus and Advanced AI Technology can detect specific subjects – humans and fast-moving animals – and provide accurate subject tracking, even when they are not facing the camera. – The 6K Photo mode can record a burst of 18-megapixel still images continuously at 30 fps. The camera also incorporates 4K Photo, capturing 60 fps in 8-megapixel resolution. In 6K/4K Photo, three modes can be selected depending on the situation: 6K/4K Burst, 6K/4K Burst (Start/Stop) and 6K/4K Pre-burst. – The high-precision shutter unit operates at up to 1/8000 second and supports a synch speed of up to 1/320 second with external flashguns. – Both cameras can support 60p/50p video recording and both provide professional-standard facilities that include an HDMI Type A terminal with a cable lock holder for extra security, 3.5-mm microphone and headphone jacks and dedicated switches for Mic, Line and Condenser microphones. Compatibility with the DMW-XLR1E Microphone Adaptor allows professional microphones to be connected. – Six selectable aspect ratios provide framing versatility for still shooting. Options include the standard 3:2, 4:3, 16:9 and 1:1 plus the newly-developed 65:24 (Film Panorama) and 2:1 (6 x 12 cm) aspect ratios. – Bluetooth 4.2 Low Energy connection and secure 5GHz Wi-Fi (IEEE 802.11ac) provide convenient remote control and sharing with other devices, and fast data transmission. Lumix Sync, a new application for iOS/Android devices, enables photo transmission to a smartphone or tablet via easy wireless connection. It also allows remote control of the camera using a smartphone or tablet. Lumix Tether software enables tethered shooting. Both cameras are supplied with the 7.4-V 3,050 mAh high-capacity battery, which can be quickly charged via USB PD (USB Power Delivery), using the bundled USB3.1 Type-C cable. The DMW-BTC14 Battery Charger complies with USB PD and enables quick power charging in approximately two hours. The camera can be used while charging via the Battery Charger adaptor. New accessories include Remote Shutter (DMW-RS2), Eyecup (DMW-EC6) and Battery Grip (DMWBGS1). The cameras are compatible with the following Panasonic External Flash units: DMW-FL580L / FL360L / FL200L. 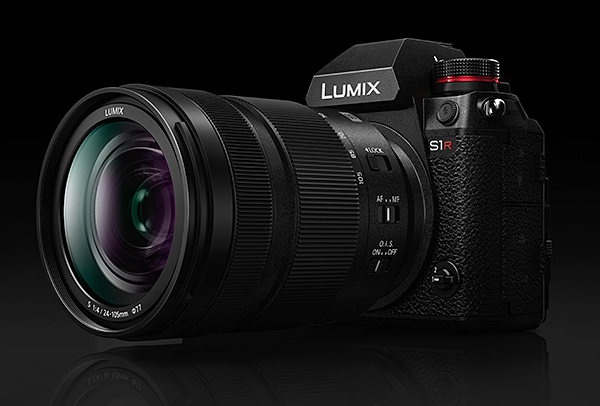 The new cameras will be available in Australia in April 2019 from leading photographic specialists and consumer electronics retailers at the following RRPs: Lumix S1 (DC-S1GN-K) body only: RRP $3599; kit with Lumix S 24-105mm f/4 MACRO O.I.S. (S-R24105): RRP $5199: Lumix S1R (DC-S1RGN-K) body only: RRP $5299; kit with Lumix S 24-105mm f/4 MACRO O.I.S. (S-R24105): RRP $6899. For more information visit the Panasonic website or phone 132 600.